The Meadows at Oak Grove is located on LA Hwy 42 near Airline and features custom homes measuring at least 2,000 living area. The beautiful development will have a community pool and clubhouse. 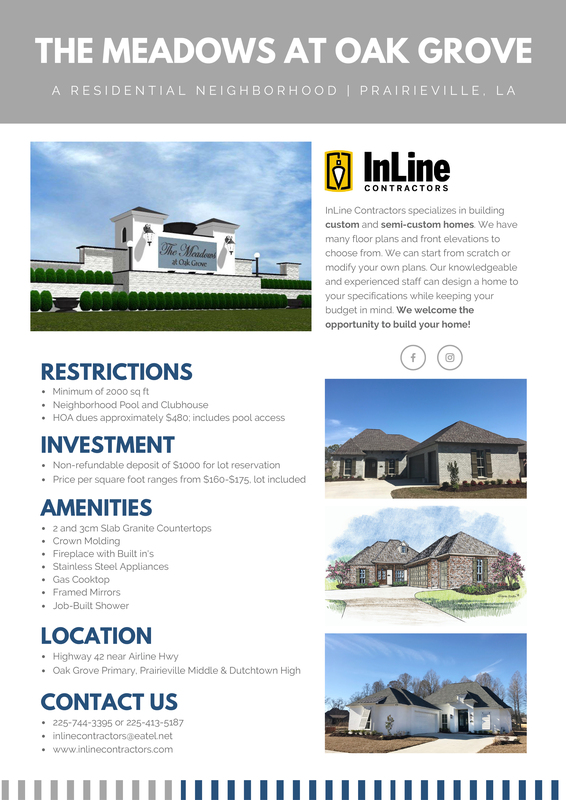 Contact us to build your home in this beautiful new development.